Marie, a 63-year-old Belgian woman, has been totally blind since the age of 57. But now, thanks to electrodes implanted around her right optic nerve, she can see lights, shapes and colours again. Marie is just one of a handful of people around the world who have had computer chips implanted in their bodies to extend, enhance or repair their senses. 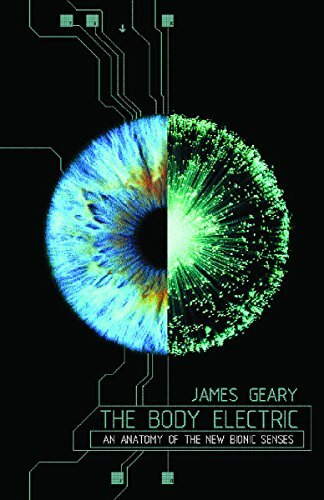 Drawing on fields as diverse as artificial intelligence and biology, THE BODY ELECTRIC provides an exciting synthesis of the people and technology making this convergence possible, while addressing the psychological, social and philosophical implications of these startling developments. Are you any less 'you' after a bionic implant? If all our senses are electronically enhanced, how will we tell the difference between virtual reality and the actual world? How can privacy be ensured when computers are watching and listening to everything we do and say? If you have any questions about this product by Phoenix (an Imprint of The Orion Publishing Group Ltd ), contact us by completing and submitting the form below. If you are looking for a specif part number, please include it with your message.